Railroads crisscross our landscape and are part of the heritage of our country. The lulling sound of the train passing by and the dinging of the crossbars as they lower at intersections are part of our daily lives. 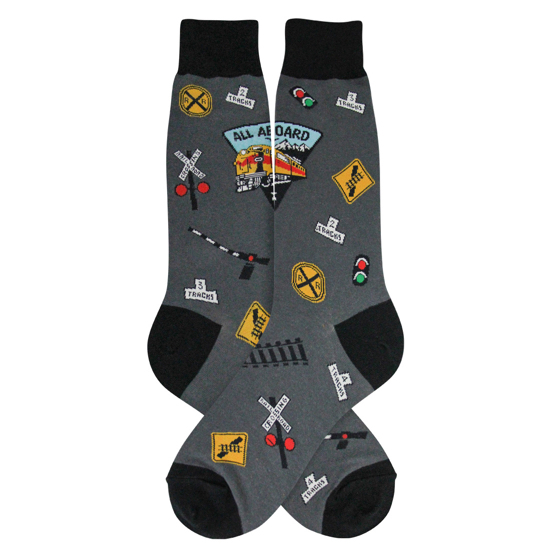 These socks are great for train enthusiasts and train travelers.